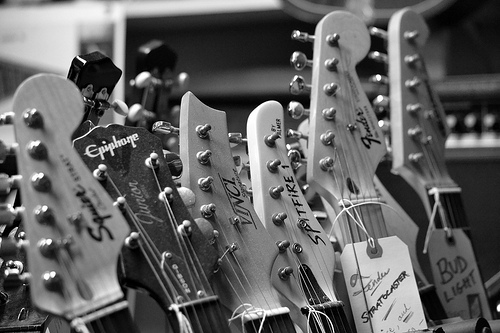 Guitar machine heads are a crucial part of the instrument, but how much do you know about them? 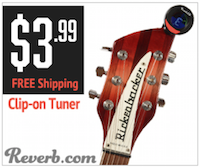 A decent set of guitar machine heads is crucial if you want your guitar to stay in tune and they have to be geared correctly to allow them to balance ease of tuning with the ability to maintain tension. Machine heads are common to most stringed instruments, and have one function: to allow you to adjust the tension of the strings and then maintain that tension as you play. Their design has changed over the years, most notably in the 1950s when locking machine heads were introduced to combat the wide variation in string tension made possible by electric guitars with tremolo arms. The basic design of a guitar machine head, however, hasn’t altered a great deal. It consists of a capstan, a gear, and a tuning knob. The capstan has a hole drilled through it at the opposite end to the gear, and a string is passed through the hole and wound around the capstan. When the tuning knob is turned anti-clockwise (depending on how the string has been wound) the tension increases and the string pitch gets higher. The gear prevents the capstan unwinding without the tuning knob being turned. In this way, string tension can be finely adjusted and precise notes obtained. Even with a good set of machine heads, however, playing the guitar, especially if it involves bending strings or otherwise altering their tension, will pull them out of tune and require re-tuning. Machine heads are usually arranged with three on either side of the headstock and the tuning pegs mirroring each other. On some guitars, however, notable Fender’s Stratocaster and Telecaster, the machine heads are all on the same side of the head stock. Upgrading the machine heads on a guitar is relatively straightforward and on an inexpensive instrument, it’s one of the best bang-for-buck upgrades you can make. Go for a recognised brand, like Grover, and if you use a tremolo, make sure you get the locking type. Image by MTSOfan on Flickr.